I have a really great feeling about Filipino food trending this year. As my father-in-law, as well as plenty of extended family are Filipino, I have been blessed to hear stories of their great cuisine, or been around it to try it. 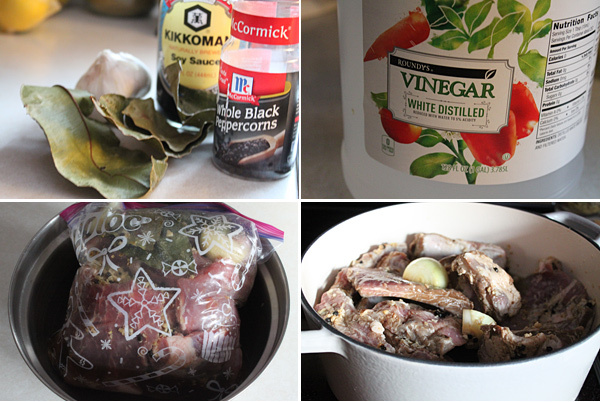 I’ve tried enough of the main staples, and have posted them on this site, and hands down (besides lumpia and pancit) on of my favorite dishes is Filipino adobo. Whether that adobo be chicken or pork, it does not really matter. 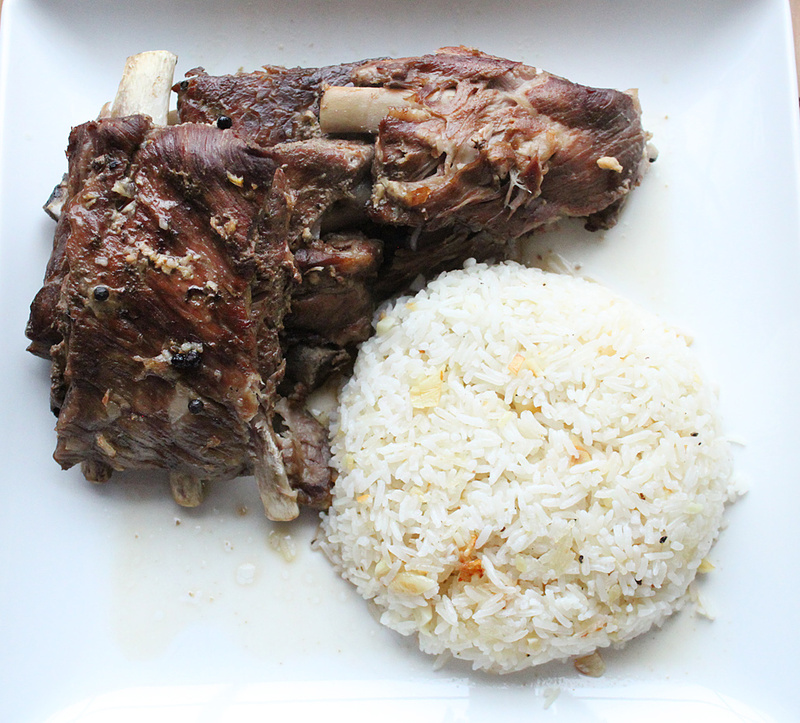 There is something about the aroma, the simplicity, and when eaten with a bit of rice, well, you have yourself a really awesome meal. My wife will always tell stories about her road trips when growing up as a kid, and her dad busting out a pan of adobo when traveling across country, and that aroma perfuming the car. I’m not too certain if she was a fan of that aroma at that age, but it is one she loves, and my entire family has loved since I’ve been making it. This is pork ribs adobo. It has the bone, plenty of fall apart pork off of that bone, and one that is truly freaking delicious. Start by adding all of those pork ribs to a large sealable bag or bowl. Next, take the soy sauce, vinegar, garlic, peppercorns, onion, bay leaves, and salt, and mix that into a bowl. Pour this mixture into the sealable bag, and let this marinate 24 hours, preferably, but you can probably get away with 4 hours. Your call. At some point in time, massage that marinade into the ribs. When you are ready to cook, add the ribs and marinade into a dutch oven, or something that can hold all of those ribs, and cook on the stove on low heat for about 4 hours. The ribs should be close to fall apart tender. Once you hit that stage, preheat your oven to 425 degrees. Place however many ribs you want onto a baking sheet, and into the heated oven, and cook for about 10 minutes or until you get an nice crisp on the outside. Take some of the cooked marinade and cook on medium-high heat on the stove. Bring to a boil, then add to a fat strainer if you have one. The ribs do give off a bunch of fat so you will want to remove as much as possible. Keep in mind you can make this a day ahead, store the ribs separately from the cooked marinade, then on the next day, when the fat has solidified from being in the refrigerator, scoop off and discard, keeping just the non-fat marinade. Once the ribs have gotten nice and crisp on the outside, remove and pour over that cooked marinade. Plate and serve. You not only get fall apart pork, but the aroma is to die for. It’s that vinegar, mixed with the garlic that just perfumes that pork that it is super hard not to love. So much that I heard my boys moaning a bit, and my wife and daughter who just kept their heads down not saying a word but just scooping forks and spoons of this stuff into their mouths. Yep, it’s that good. Get your Filipino food on this year. Trust me, it’s hard not to love. Hope you enjoy!